“Night of the Comet” is a very unique movie. 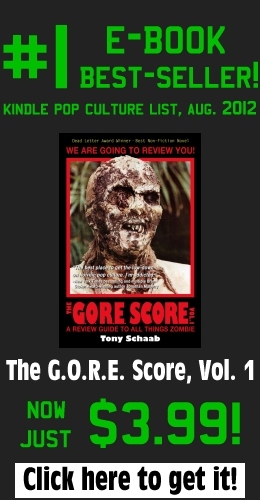 To the average viewer, it probably appears to be just another kitschy ‘80s horror film. 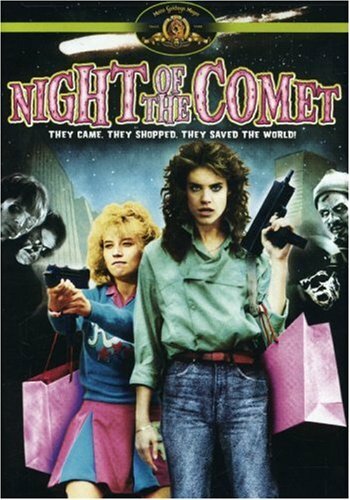 But for those select viewers “in the know” about this movie’s director, Thom Eberhardt, and what his true intentions were in making this film, the experience of watching “Night of the Comet” is completely different and – in my humble opinion – infinitely more rewarding. The plot is simple enough, in its obliviously-cheesy way: a comet is passing closely to Earth, so almost everyone on the planet decides to throw a party to stand outside and watch it pass by. The opening credits are shown while a newscast talks about how this comet “hasn’t been seen in our solar system since the time the dinosaurs mysteriously vanished,” which raises the awareness of the viewer but apparently not a single person in the actual movie. Comet passes by, bad things happen to the people who were staring directly at it, and the few people on the planet who weren’t directly affected by the comet (including a surprisingly young-looking and heroic-acting Robert Beltran, better known to some as Chakotay from “Star Trek: Voyager”) are left to deal with the consequences.